Are you buying your first motorcycle? If a new motorcycle is in your future, congratulations! Motorcycle riding is a lot of fun but it’s important to realize that it isn’t like driving a car –it’s more dangerous. The reason is pretty simple: in a car you are surrounded by a nice metal cage. The good news, though, is that you can mitigate the risk when you ride a motorcycle. In this article, the folks at Patrick BMW of Schaumburg, IL, a factory authorized BMW dealer, pointed out several things to consider before you hit the road. 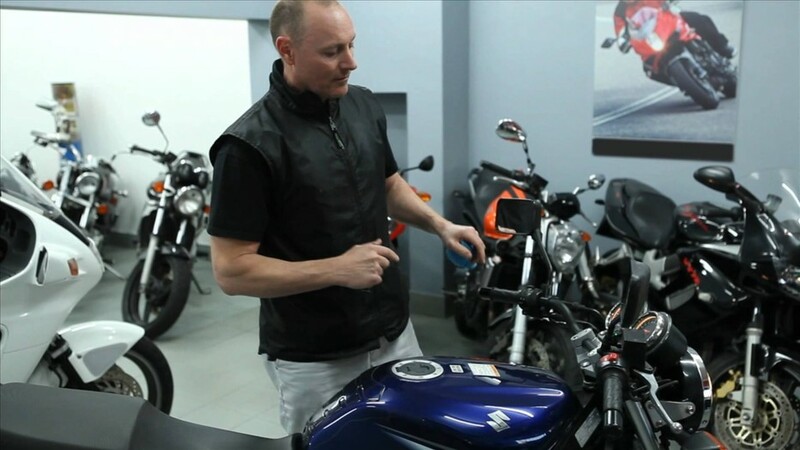 When you are getting your first motorcycle, consider purchasing a small cruising bike first. You are going to be learning to drive something that is unlike a car; consider a “starter bike,” something small and basic, like a 500 cc model. Then after a few thousand miles, you can upgrade to that big Harley cruiser you’ve been dreaming about. There’s no better way to get prepared to ride a motorcycle than to take a course in motorcycle safety. Google “motorcycle training classes” and you should find a number of them in your local area. For example, they are commonly offered by local adult education centers and the Motorcycle Safety Foundation also offers on-line and driving courses. The great thing about taking a riding course is that will focus on the common hazards that motorcyclists face and how to deal with them. This could be lifesaving information. Safety gear, like helmets and leather jackets, may not be convenient but it’s the stuff that keeps you from leaving your skin on the asphalt. Be smart and wear full head-to-toe safety gear. At the very minimum, even in a state where you can legally ride without a helmet, you should wear one. Don’t be bullied by those who ride helmetless -it’s just not smart. By the way, unlike your first motorcycle, your first set of safety gear should not be inexpensive stuff. Invest in quality safety gear and protect yourself. First of all, insuring a motorcycle isn’t very expensive. In fact, your yearly payment may not be that much higher than the monthly payment on your automobile insurance. Aside from it being the law in a lot of states, you may find it a requirement to get a license. If not, still get insurance. You never know when an accident might occur and having an insurance policy protecting you is nice to have. In case you didn’t know, you need a special license in most states to ride a motorcycle. Basically it’s like getting your driver’s license accept you will be asked to drive your motorcycle around in a parking lot while an inspector watches. Note: many states allow you to get motorcycle learner’s permits so you can learn the appropriate skills before you go for the big test. Just like cars, motorcycles need to be registered and, in many states, inspected. Registering your motorcycle is essentially the same as registering your car: You head to the local DMV, hand over the title, cut a check, and receive your tiny new motorcycle plate. Many states allow you to purchase vanity motorcycle plates if you want to make a statement when you ride.